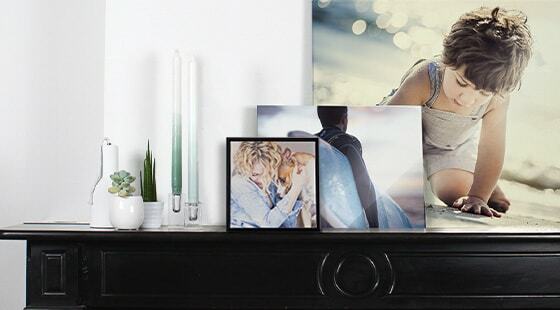 With a few favourite photos and an empty wall, you can easily transform any room into a stylish and personalised space. The trick – once you’ve created unique wall art – is in how you hang it! A good wall art layout gives character to a space and can help add your personality to a room. 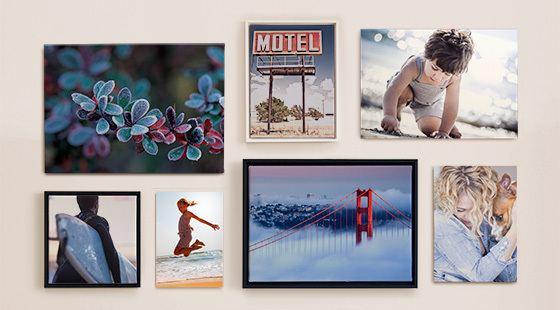 There are literally endless ways to arrange wall art but to get you started, we’ve pulled together five basic layouts that can fit any style. Take a look below and find the layout that suits you! 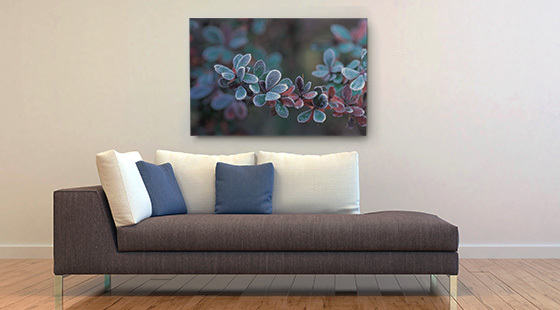 Get the look: Choose a mix of images, frames and wall art types (aluminium, canvas, acrylic and mounted prints) and position the middle of your total arrangement at eye level. Get the look: Choose a high quality photo to create a large print and hang it above a sofa, table or other piece of furniture. Easy! 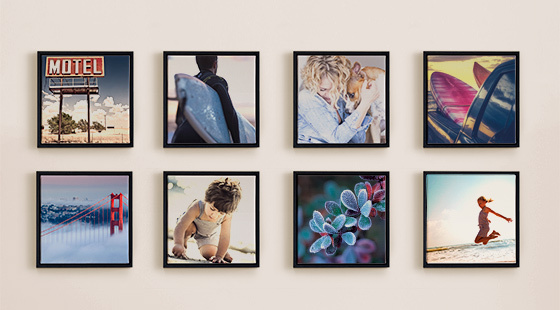 Get the look: Stick with one size and type of wall art (like these framed canvas prints) and use a ruler to make your rows nice and straight, just the way you like them! Found your perfect layout? 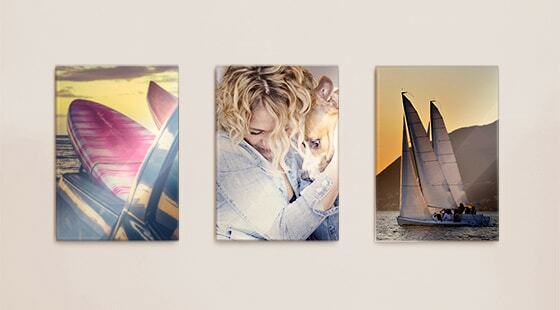 Create your wall art now!